With good friends in Brooklyn, we always enjoy the opportunity to visit them and the area. Last time we visited the borough, we enjoyed brunch at Applewood and noticed that Talde was right across the street. We told ourselves that next time we were in the area, we would definitely stop by the popular restaurant. Since we were a party of 6, we were able to make a reservation which allowed us to go right to our table. We were greeted by the server who let us know that everything is served family-style and comes out as it’s ready. We started with dumplings, kale salad, brussels sprouts and the much talked about (on social media) Kung Pao Chicken Wings. 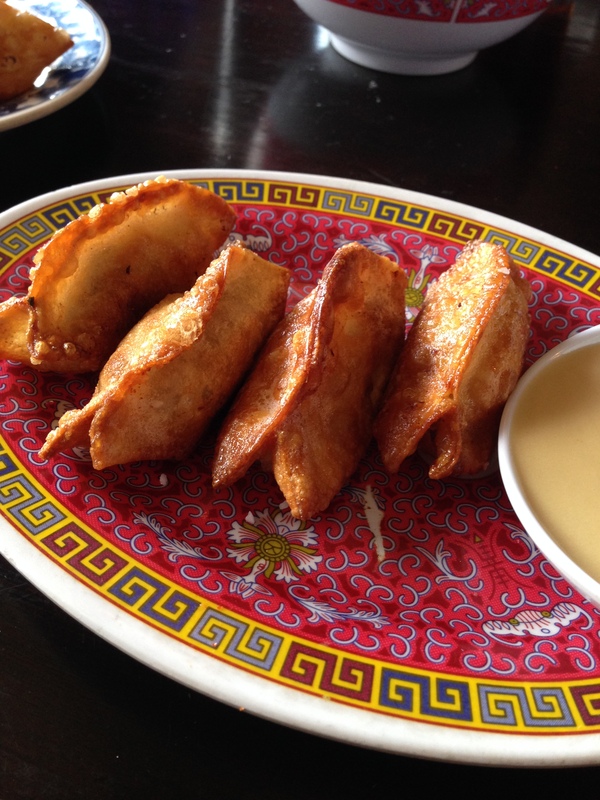 The dumplings were cooked perfectly, crispy on the outside with the meat nice and tender on the inside. 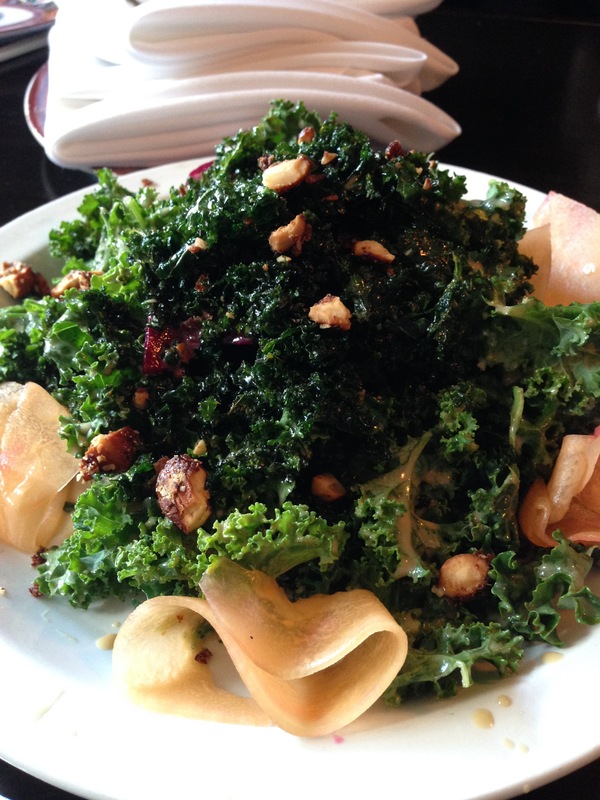 We make kale at home, never prepare it as well as it was done at Talde– lightly fried with tasty dressing and toppings. 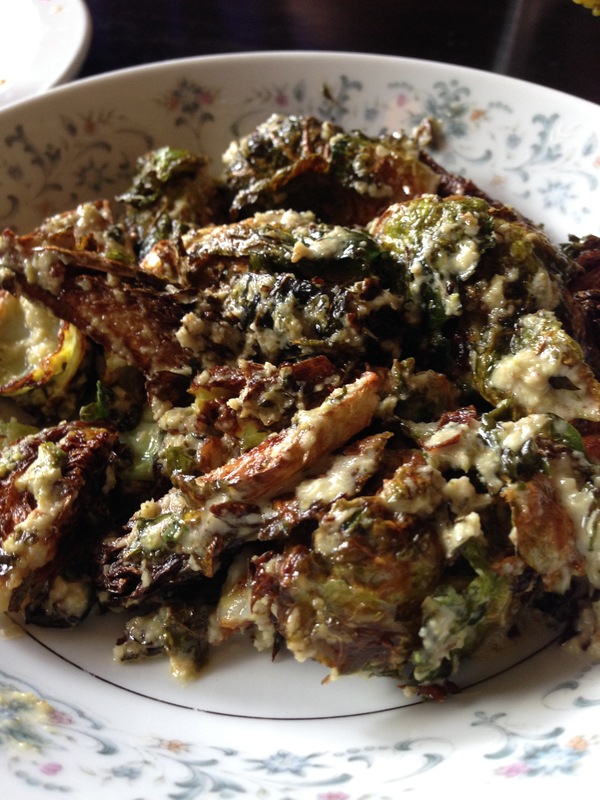 The brussels sprouts were tangy and delicious. 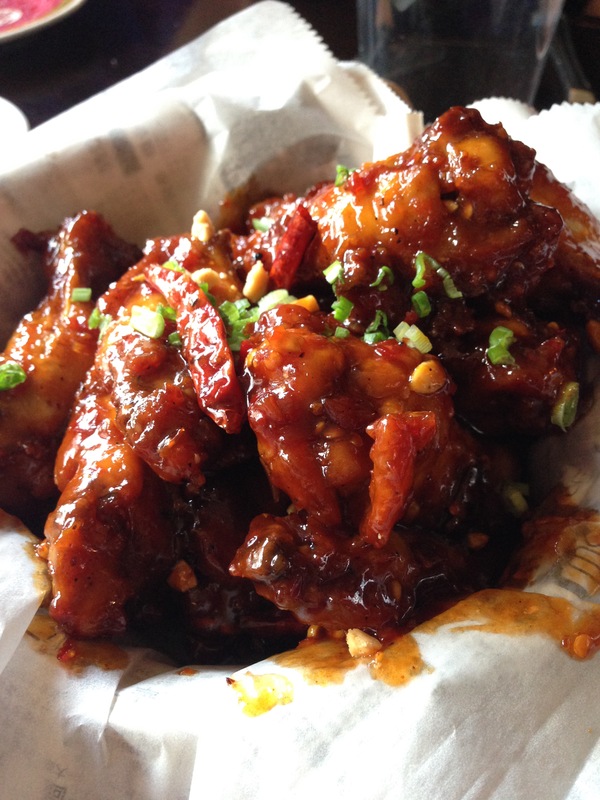 The Kung Pao Chicken Wings were as good as advertised- juicy, spicy and perfectly seasoned! 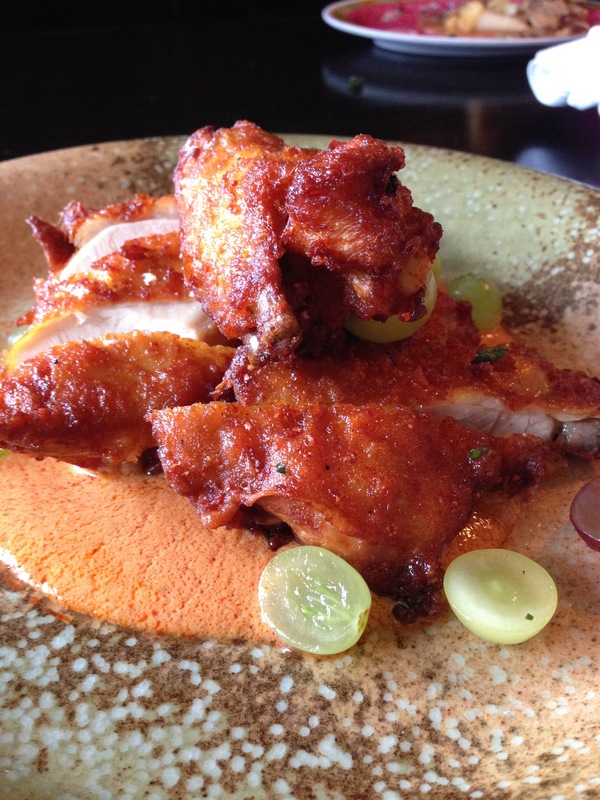 Talde is a great spot for small groups, as it allows you to try many items off the menu. 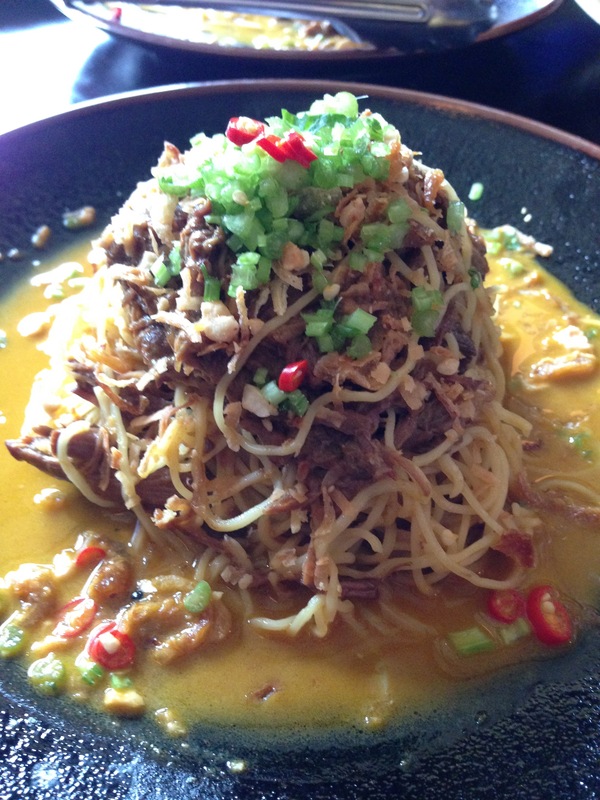 We also had the Korean Fried Chicken, Chow Fun and Beef Short Rib Kare Kare. After the meal, we were stuffed and completely content. However, on the suggestion of the persuasive server, we decided to order dessert– splitting one between the six of us wouldn’t be bad, would it? 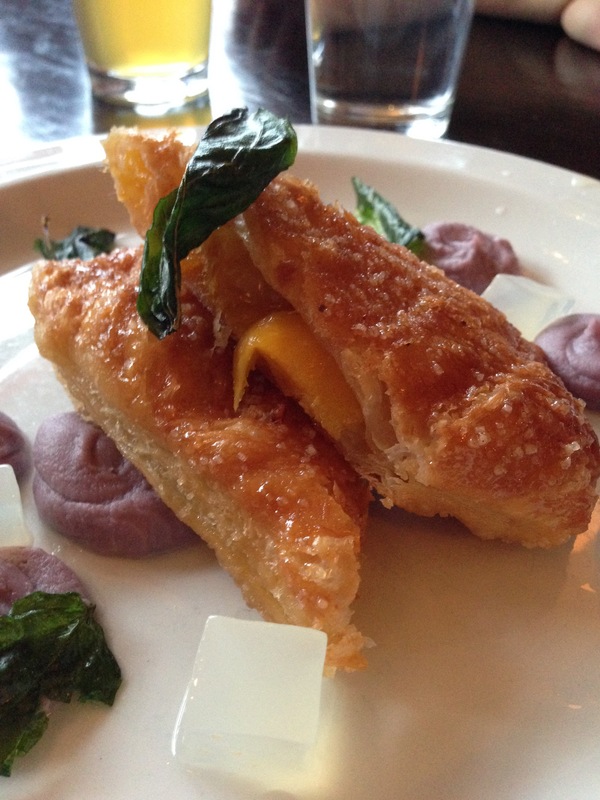 Talde offers one dessert, a mango empanada. It was the perfect way to cap off a memorable meal! To say we enjoyed the meal is a understatement. 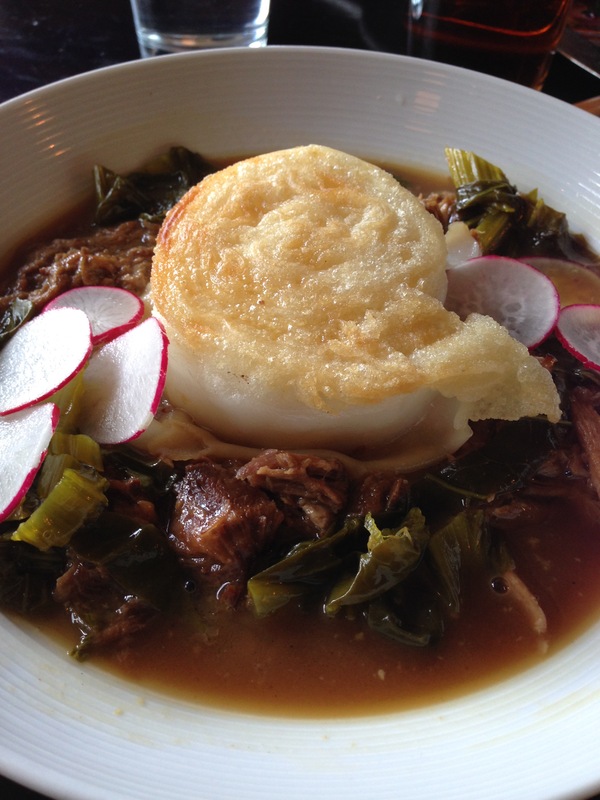 Although we don’t make it to Park Slope as often as we’d like, we’ll certainly make time for Talde again soon!